« From factory to front door! 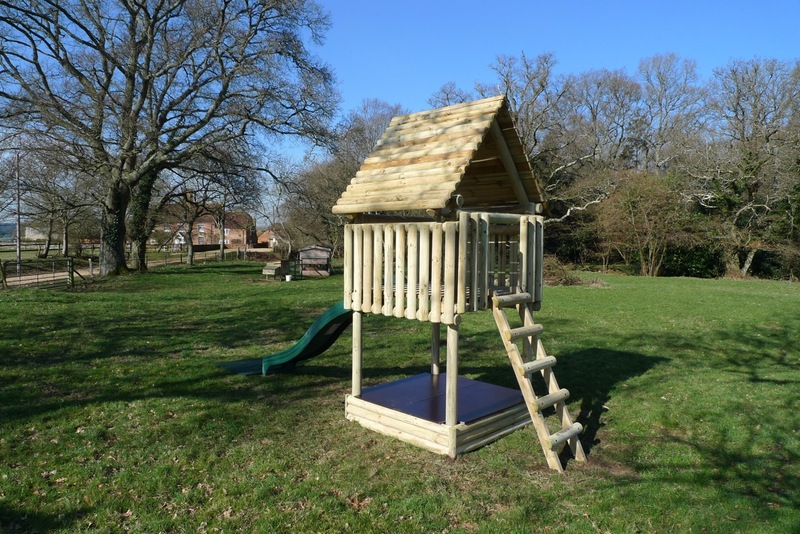 As the weather improves and we start to put that long winter of rain, snow and wind behind us, orders for our Langley Premium Play range of solid timber play equipment are flooding in! Offering complete stability and rigidity, as well as a very aesthetically pleasing appearance, the Langley Play Fort is a very popular choice for customers looking for a high quality climbing frame and play structure that doesn’t dominate the garden but will keep the family entertained for years and years with the peace of mind that it is strong enough to cope with all ages. Many customers report their Langley play equipment being used by all members of the family from toddlers to teenagers and grandchildren to grandparents! 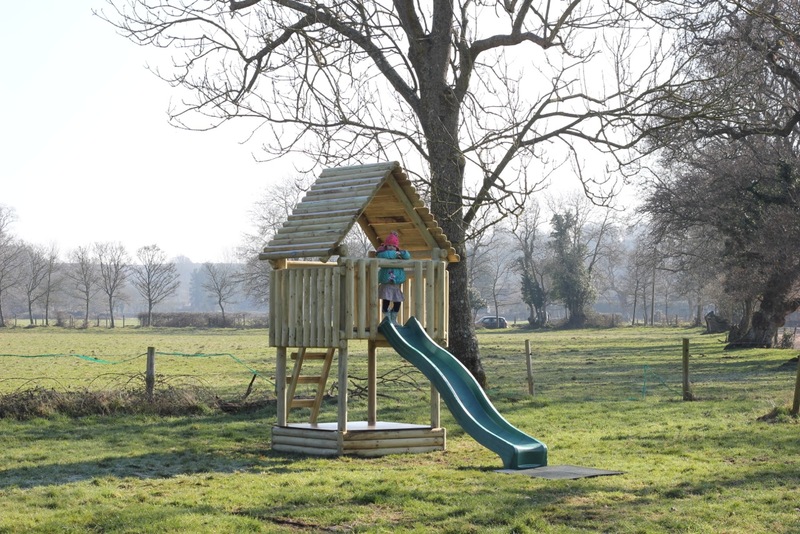 It is this peace of mind that encouraged a recent customer of ours to order a Langley Play Fort with slide and sandpit to be installed in the grounds of their holiday cottages business in the New Forest as shown below. Hucklesbrook Farm New Forest Holiday Cottages (www.newforestholidaycottages.com) are located near Fordingbridge in Hampshire on the edge of the New Forest and have 3 beautifully refurbished holiday cottages available for short breaks or longer holidays with easy access to Salisbury, the beaches of the South Coast and, of course, the New Forest itself. 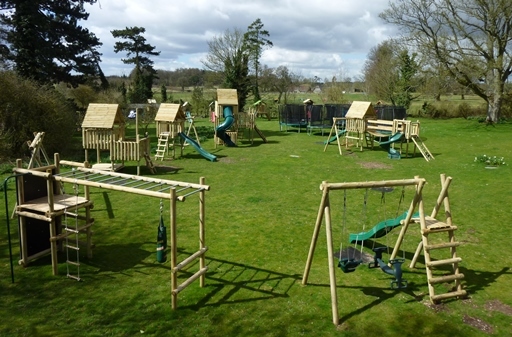 A real favourite with walkers and cyclists, Hucklesbrook Farm is now even more well equipped for family guests as the new Langley Play Fort joins the already very popular Langley Swing Frame in the grounds of the farm and together they will provide plenty of activity for the kids while you put your feet up after a hard days walking! So, why not treat yourself to a nice break in the stunning New Forest and try out the Langley Play Fort while you’re at it?! If you’d like to see what else we at the Active Toy Company do, have a look at www.activetoy.co.uk or you are very welcome to come to our display site and shop just off the M4 and A34 north of Newbury where we have lots of climbing frames, swings, slides, trampolines, playhouses and much more on display for your children to try out before you buy them! And with our bespoke design service, we can design and build exactly what you want in your garden. 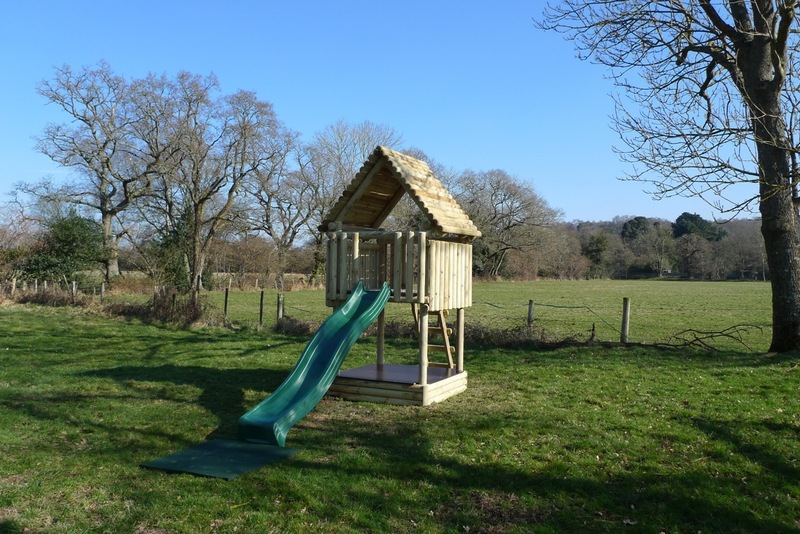 So, after that long, hard winter there is no better way to celebrate the arrival of Spring than a holiday in New Forest at Hucklesbrook Farm followed by adding a Langley Play Fort to your garden to keep the kids active and healthy all year round!